There’s more to Greek beer than Mythos. 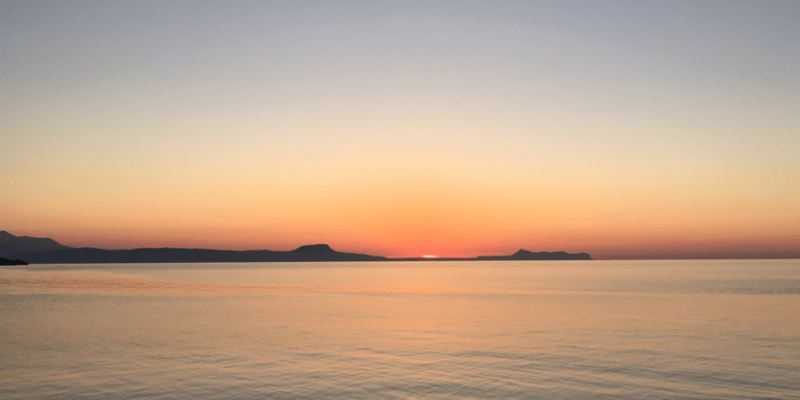 We went to Crete and dug out some craft beer gems. There are few greater feelings than finding a tiny foreign bar, full of locals and not only overcoming the fear of entering, but having done so, successfully ordering a local brew. The sense of achievement, pride even, knowing that you’ve found a hidden gem and not totally screwed it up or embarrassed yourself is quite unique. Such small victories over the course of a trip can culminate to the belief that you may have scratched the surface of a local culture. Success! We’re in Rethymno (Ρέθυμνο), a large town an hour or so west of Heraklion (Ιρακλιο) on the north coast of Crete. Conquered and counter-conquered by the Byzantines, Venetians and Turkish, not to mention the Romans in some order or other, before finally joining Greece a little over 100 years ago, Crete is not short on history. The old town of Rethymno is a beautiful lattice of narrow streets that are architecturally the sum of the island’s colourful past. They are, however, well saturated with hundreds of gift shops, tavernas and bars selling all the Amstel, Heineken and (if you want to be local) Mythos you could want. 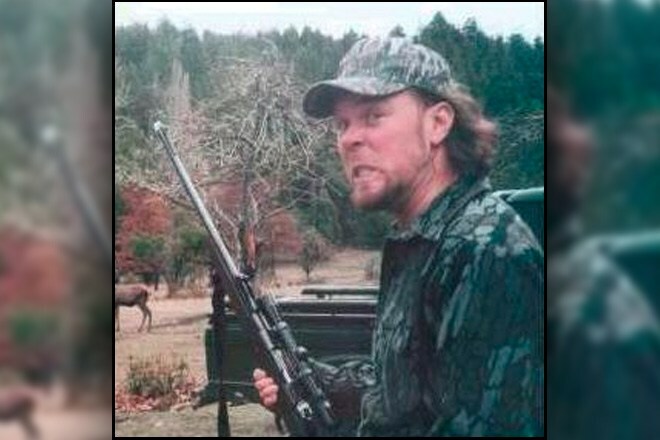 Well…challenge accepted! 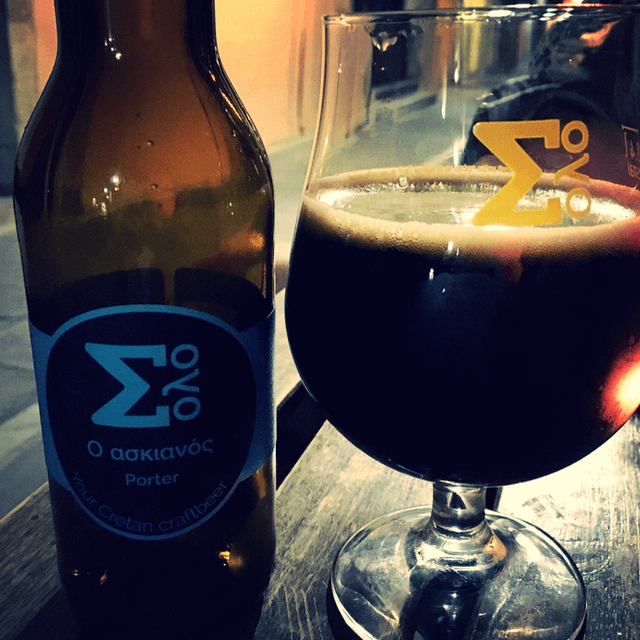 Best in show goes to the Askianos porter by Crete’s very own craft brewery Σολο. Having stumbled upon a fantastic co-operative run coffee shop (το Χαλικούτι) the domino effect started. A whole square of taverna’s – clearly the locals choice and at local prices – revealed itself. And finally we found Φυντάνι. This small bar was the only spot selling craft beers, so we made ourselves at home, starting with a glass of 8th Day by Septem. 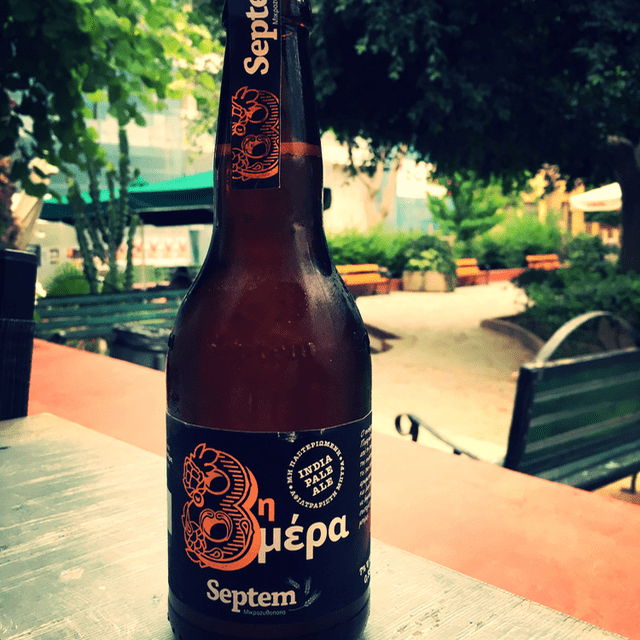 Septem seem to be one of Greece’s most widely available craft breweries and one things for sure, they’re big on hops. 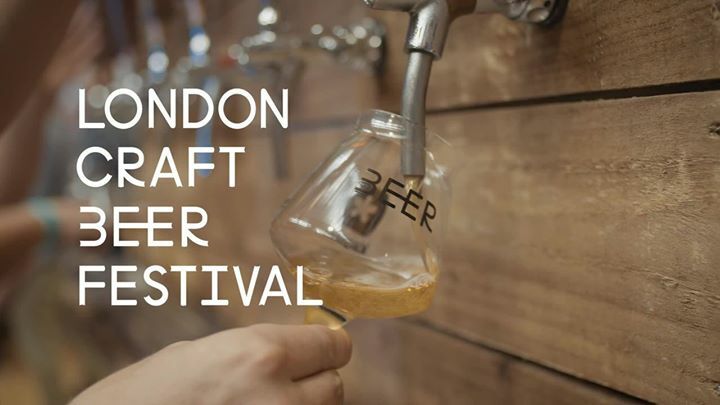 Right across their core range you’ll find hops take centre stage and 8th Day is no exception. This IPA packs a flavour punch that reminds you just how bland the pint of Mythos you forced down the day before (for lack of another option) really was. 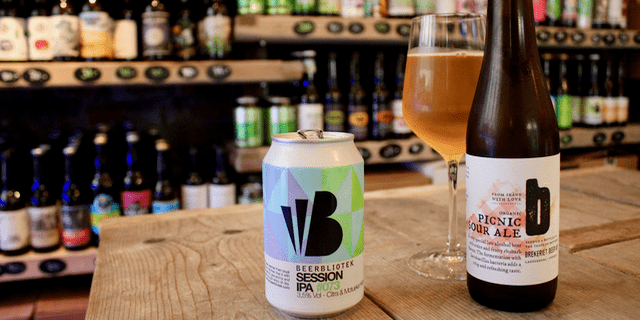 We’ll be cramming as much of Septem’s range as we can get our hands on into our shop from day 1, along with our next order – Siris’ Voreia pale ale. Along with Septem, Siris as a brewery is a relatively safe bet. Having tried a bottle or two in the UK we know they’re good. 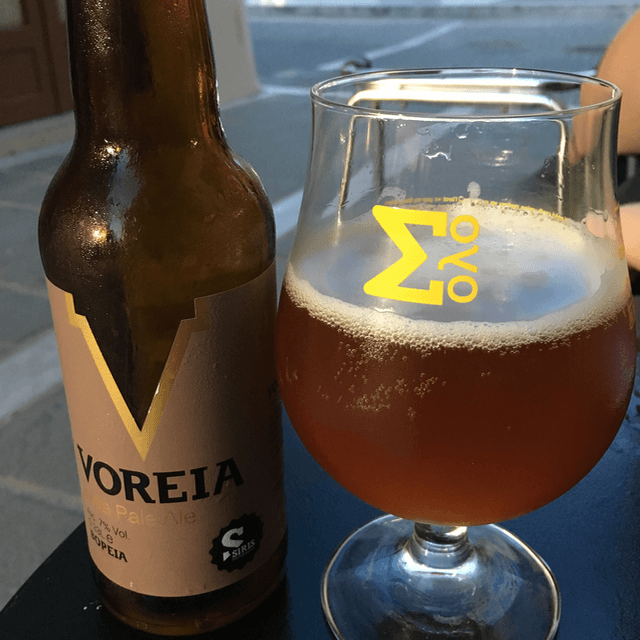 In stark contrast to Septem’s 8th Day, the flavour profiles in the Voreia IPA are delicate and more evenly balanced with all the subtle citrus tones you’d expect from a good pale. 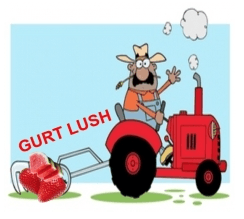 So, onto new territory. The unknown. 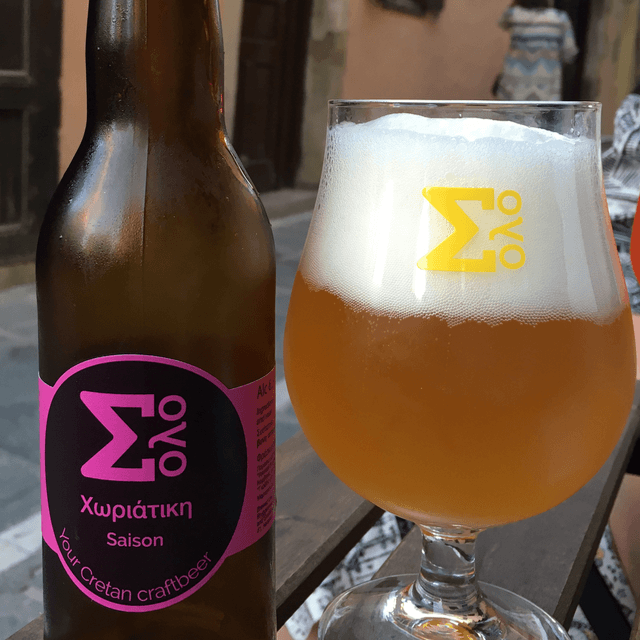 Σολο, (pronounced ‘Solo’ as the barman politely corrected our initial effort) is Crete’s main craft brewery with a core offering covering 6 styles of which we were able to try 4 over the course of our trip. The Horiatiki saison is a solid introduction to the range. A light bodied beer with mild citrus tones and a long bitter finish, a great accompaniment for the 28ºC blue sky days. By contrast, the imperial IPA (Fouriaris) is not for the faint hearted. It’s a supremely alcoholic tasting 10% IPA that is sadly a struggle to finish. Disappointing given their regular pale ale (Americana) – although not groundbreaking in any way – is very drinkable and balanced. Best in show however has to be their porter (Askianos). Light on the palate whilst carrying strong bitter chocolate notes and plenty of roasted coffee aromas it’s hard to go wrong here. So a little bit of a mixed experience with Σολο but worth picking up a bottle or two given the opportunity, just avoid the imperials.